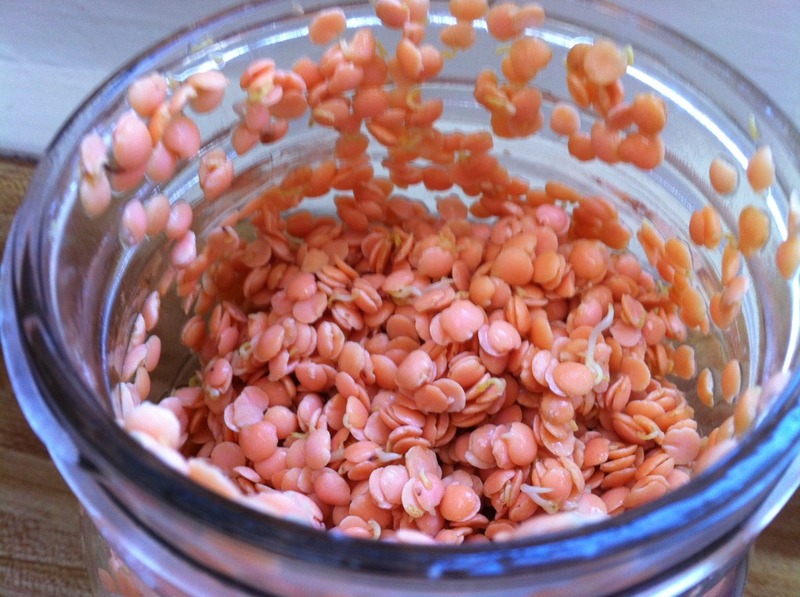 I use sprouted red lentils in many recipes, so I thought it would be helpful to include a basic tutorial on how to sprout red lentils. You can use sprouted lentils in a variety of recipes like soups, salads, veggie burgers, curries, etc. I prefer red lentils because they have a lighter flavor compared to sprouted green or brown lentils. I also love how quick and easy there are to cook. The sprouting process for almost all grains and seeds are the same. The only difference between other grains is the amount of time it takes for them to sprout. So you can also use this tutorial as guide for sprouting almost anything. First, I’d like to talk a little bit about the benefits of sprouting lentils and sprouting in general. Sprouting is a process that germinates grains, seeds or legumes which in turn makes them more easily digested and produces additional vitamins and minerals including vitamin C, vitamin B and Carotene. 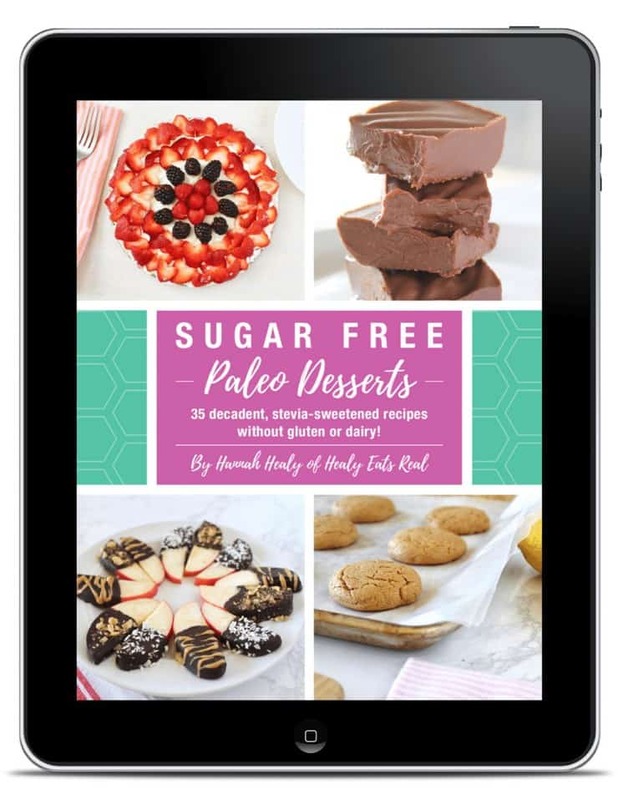 According to Nourishing Traditions by Sally Fallon , “sprouting also neutralizes phytic acid, a substance present in the bran of all grains that inhibits absorption of calcium, magnesium, iron, copper and zinc…“. Sprouted grains are best enjoyed when lightly cooked. 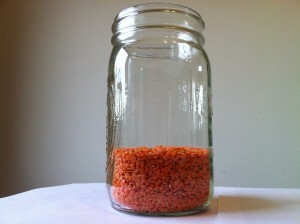 A sprouting lid is simply a mesh cover for the jar that allows the grain to breath and the water to drain. I have a metal mesh screen that I bought at a hardware store for a few bucks. I cut the mesh into a circle to fit the top of the jar and then put the screw ring over it. You can also buy plastic lids that are specifically made for sprouting or you can use cheese cloth. 1. 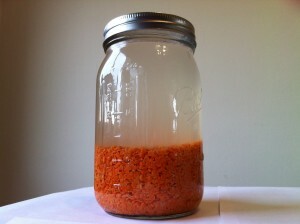 Fill a mason jar 1/3 of the way with the lentils, then fill the rest of the jar with filtered water. Let the lentils soak for about 6-8 hours. I usually set this up before bed and let it soak overnight. 2. After the lentils have soaked pour out the water. 3. Rinse lentils and pour the water out again. 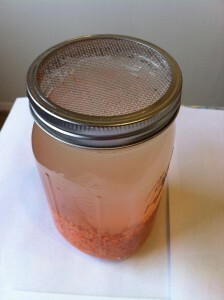 Turn jar upside down and rest it in a bowl or dish so that the water is allowed to drain out of the mesh screen. Repeat this process of rinsing and leaving it to drain about every 6-8 hours or at least 2 times a day for 2-3 days. 4. You will begin to see sprouts after 2 or 3 days. Once the sprout is 1/4 inch long they are ready for use. You can store them in the refrigerator with a regular lid, but be sure to use them within a few days. Thanks for the breakdown. I think I’ve been doing it wrong, or at least not as simply. I need clarification, you only soak the lentils once correct? Then you rinse every 6-8 hours? Do you need to leave it sitting upside down for 6-8 hours too or does it not matter how they sit? Yes, only soak the lentils once. After that you’ll leave it to drain upside down for about 2 days, rinsing every 6-8 hours. Hi, thanks for the informative site! 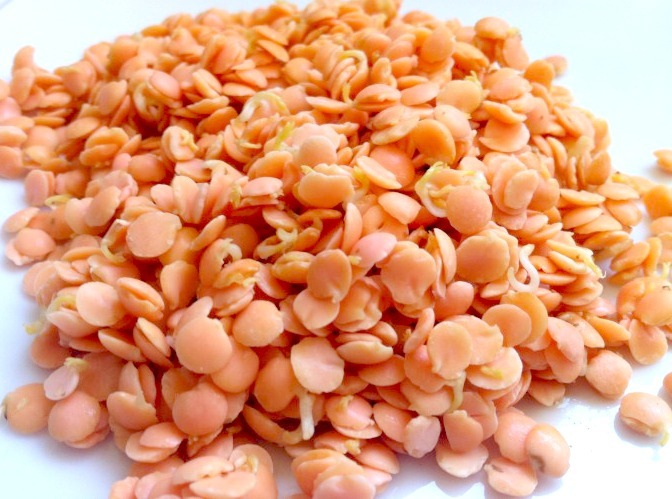 Can you use red split lentils? (Will split lentils sprout?). I’m also mostly vegetarian but want to avoid soy, tofu, TVP etc., I developed some kind of gluten intolerance rather suddenly and it seems I react similarly to soy and some other foods. I used to be a vegan but when this intolerance issue came up I re-introduced some sheep/goats dairy, pastured eggs and chicken to replace the wheat, tofu, TVP, soy milk etc. I had been relying on before. p.s. what do you think of hemp as a protein source? I have tried hemp protein powder but had a reaction to it as if I’d eaten gluten which was a bit odd. Yes!!!!! I sprouted SPLIT red lentils!!! Yeah! I checked another website and they had positive results so I tried it and sure enough, there were very tiny little sprouts growing. Mind you, I didn’t have time to let them sprout longer (only 9 hrs) so not sure how much more they would have sprouted. But there you go! Go for it! The key is that you have to rinse the lentils after soaking, for at least 3 rinses, as apparently if you don’t, something will prevent the lentils from sprouting. You have to rinse the lentils to keep them moist. If you don’t, they dry out, so that is the reason for the frequent rinsing. What do the lentils smell like when they are done sprouting? Mine smell a little funny…kind of sour. Not sure if that is normal, or if I should throw them out and start over. The lentils should smell kind of earthy, but definitely not sour or stinky. If they smell like that they’ve probably gone bad and you should throw them out. Make sure you get relatively good lentils, sometimes if you get ones that have been sitting around in a grocery store bulk bin for a long time, they don’t work very well. Does that mean it’s alright as long as I’ve soaked them long enough to see the sprouts? 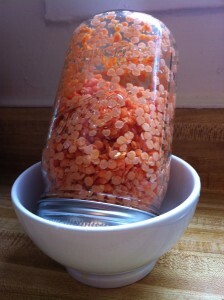 I am on the fourth day of sprouting red lentils and hardly no sprouts. I think it is starting to have a funny smell although what they are suppose to smell like I don’t know. I am inexperience but having great luck with several beans from Whole Foods. This bag is organic and came from a grocery store but it has been in my pantry for quite a while. Is the Red Lentil harder to sprout than the other green or brown? I am sprouting for my birds but I do taste all of what I serve. I guess I will be trying to add this to my diet as well since so my of the beans smell so good. Thanks for any help you can give me. 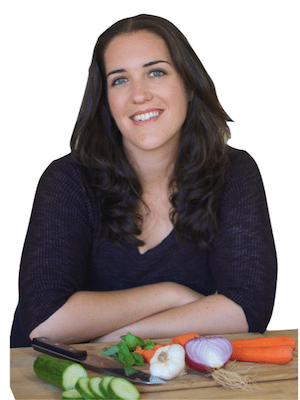 Do you sprout quinoa the same way? I have lots of that but no lentils. Can the jar be stored in the refrigerator during this process (to avoid any yuckiness growing in the jar) or will that stunt the sprout’s growth? I live in Florida so it’s hard to leave anything out on the counter without it growing something on it after a couple of days. Also, can a thick cheesecloth be used? Like this: http://www.amazon.com/Cheesecloth-Unbleached-Yrds-Grade-Cotton/dp/B006JWL22I/ref=sr_1_1?ie=UTF8&qid=1391534988&sr=8-1&keywords=organic+cheesecloth Or is the air circulation not enough? Don’t put it in the fridge. It wants to be warm; it’s growing. Make sure to rinse often, and if you want to use cheesecloth, go for it. I just put the lentils (or mung beans, alfalfa seeds, whatever I want to sprout) in a small plastic food storage container, soak, drain, rinse, and leave the lid loosely sitting on top. I’ve never found the need for a screen, but it looks like it works well! Once sprouted can I cook with them as I would unsprouted lentils, or is it best to consume the sprouts raw or only lightly cooked? Thank you! Yes, you can cook them! Or eat them raw on salads and stuff.